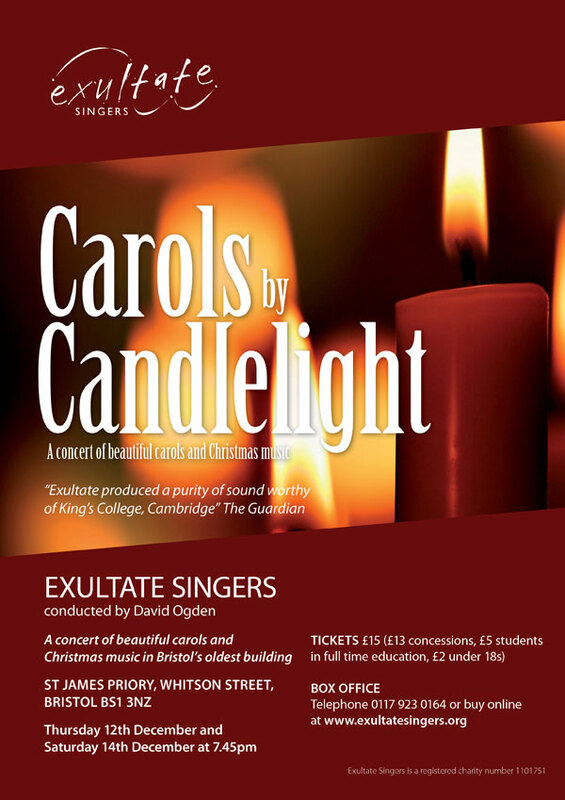 Bristol's accomplished chamber choir, Exultate Singers will sing an exquisite programme of Christmas music, the perfect preparation for the festive season. Come and enjoy a wonderfully atmospheric evening in the beautiful surroundings of Bristol's oldest building, St James Priory. Tickets can be booked by telephone by calling Opus 13 box office on 0117 923 0164 (card payments accepted). Open from 9am until 5.30pm Monday to Friday. 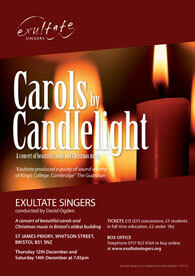 Friends of Exultate Singers pay an annual or lifetime subscription and can book up to two tickets with a 25% discount (up to four tickets for joint memberships) at the shop, and can arrange to have seats reserved for them by contacting David Brown, Friends co-ordinator by email at friends@exultatesingers.org. Click here to find out more about becoming a Friend.